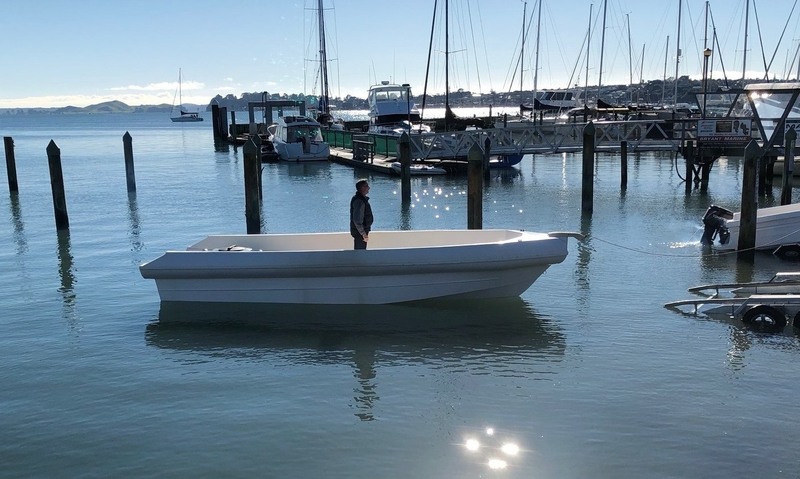 The GY700 CC was developed after MAC Boats from Auckland requested design for 7.0m centre console polyethylene boat. The design brief was for "dry" and seaworthy open working boat suitable for rough condition and fitted with twin outboards. This boat is designed to be constructed by polyethylene using a patented "Gyro-Tech" process that forms structure frames locked in double skinned hull. All the mould parts are modeled in 3d and and to be CNC cut. The first boat of the series is under construction.